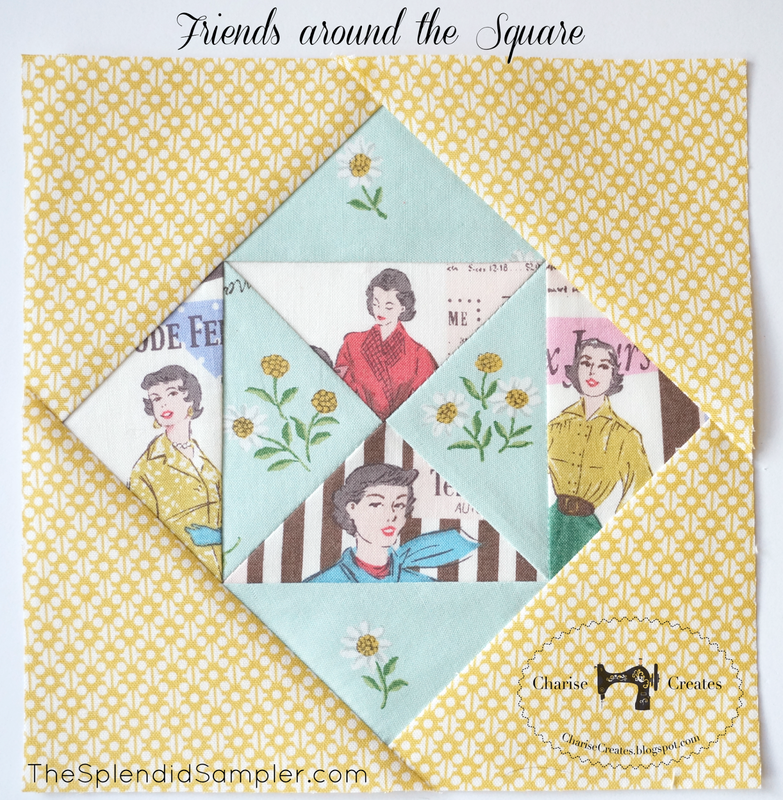 Sewing along with the Splendid Sampler has been such a fun journey. I often spend my days designing my own patterns so sewing up someone else's pattern is always a welcome treat. As with the Farmer's Wife 1930's Quilt Along, I spend lots of time picking out the perfect fabric. For the new Splendid Sampler block, "Friends Around the Square" designed by Julie Karasek of Patched Works, I decided to take the title quite literally. The print comes is four different color ways. The yellow surrounding border print is a Denyse Schmidt fabric designed for Joann Fabrics ~ DS Quilts for fabric tradition from 2011. Be sure to head on over to TheSplendidSampler.com for a copy of the pattern! I am having severe block envy right now. So very cute! Is this the way you are planning to set the blocks? 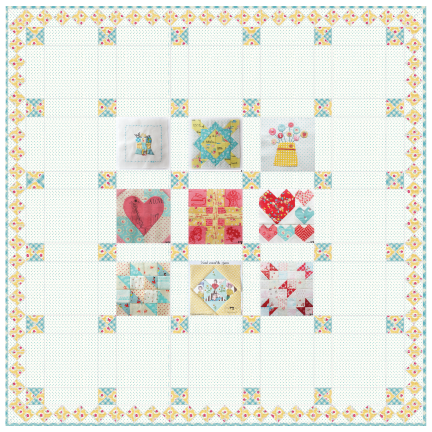 My blocks are at Grannycanquilt.wordpress.com. They don't seem to hang out together quite as well as yours do...perhaps because I have not made a firm plan for the setting. You do such pretty work! I love your colors and fabric selections. Very original!!! I like it!! I'm participating too.